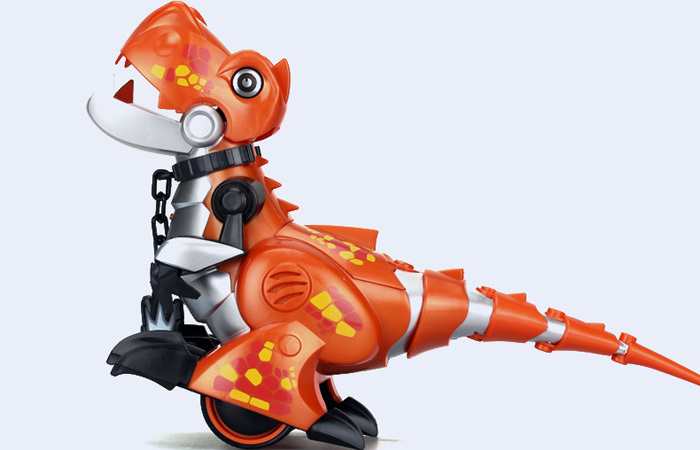 Wild Actions, Chase around and roar loudly. 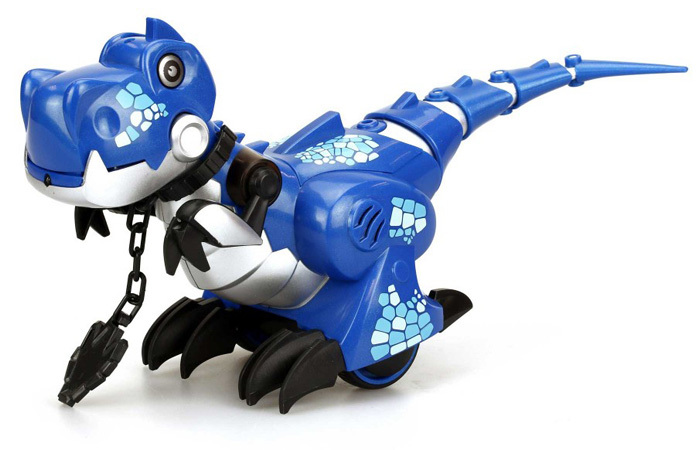 Put on neck cuff, the Dino behaves mildly. 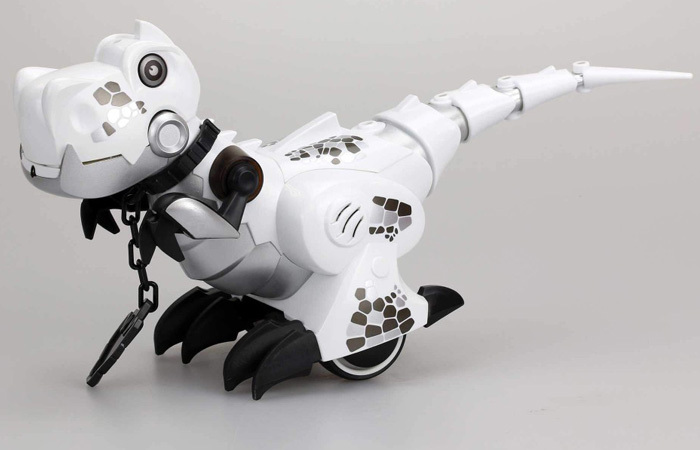 Full spectrum of robot with distinctive plays! 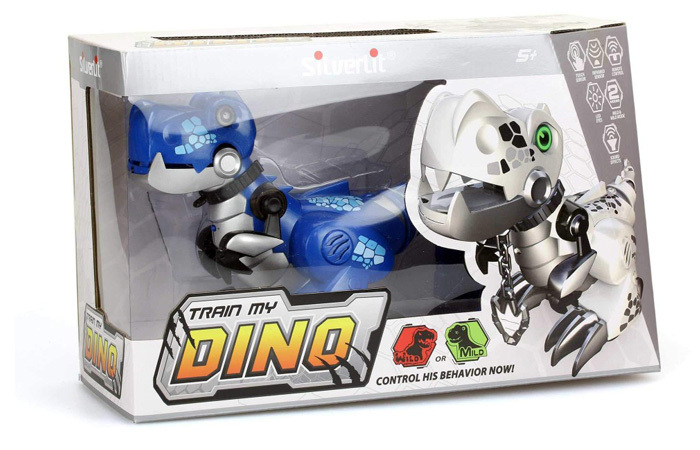 Train your Dino to follow you! 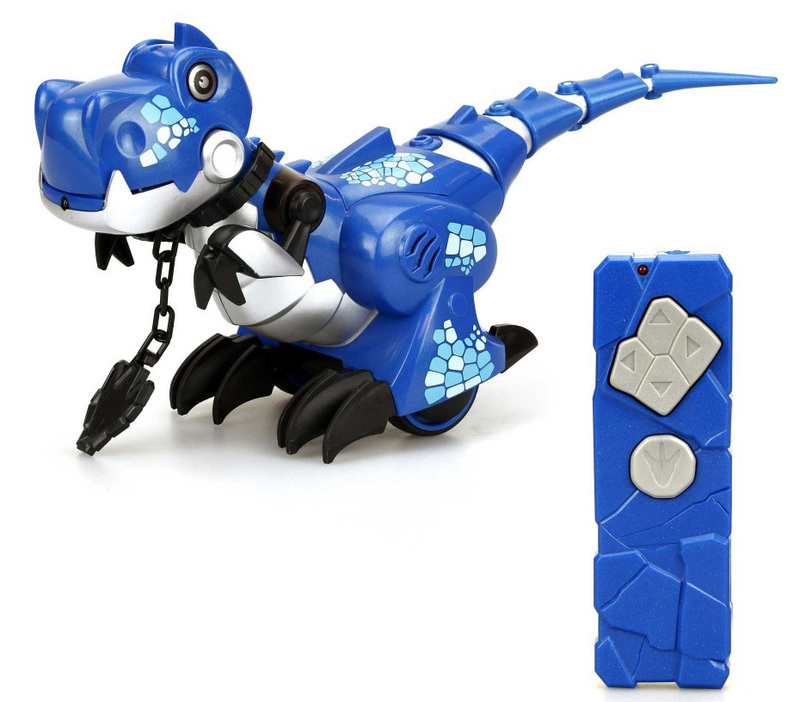 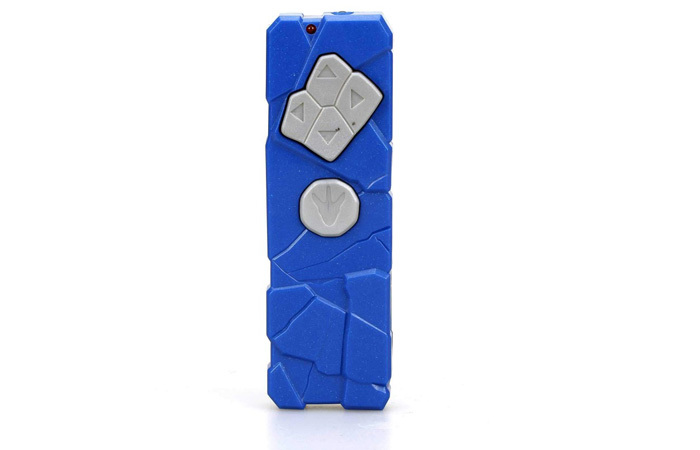 - Full Remote Control: the Dino moves or follows you. 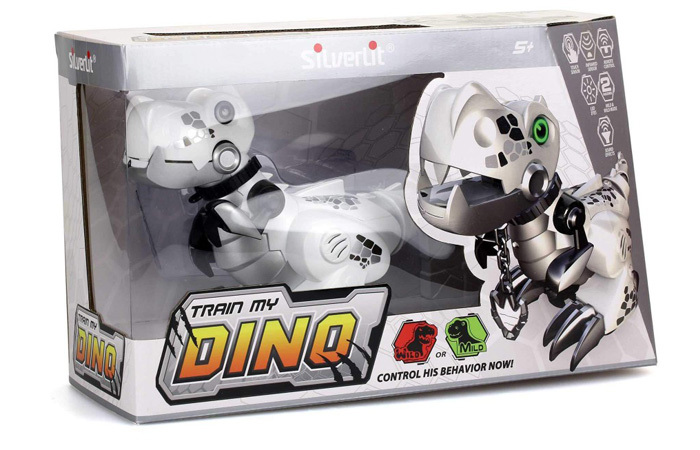 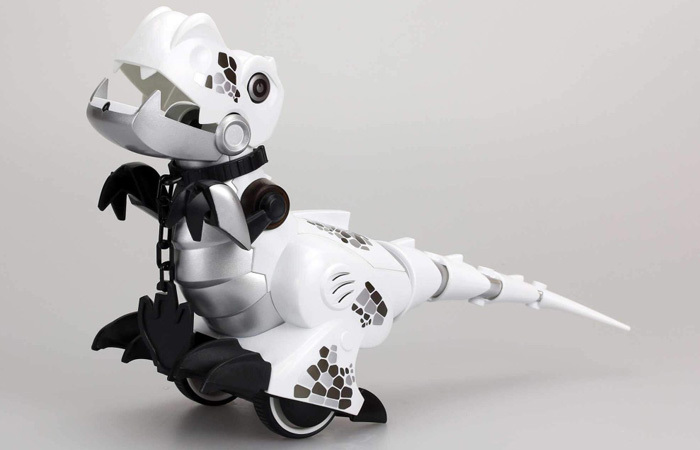 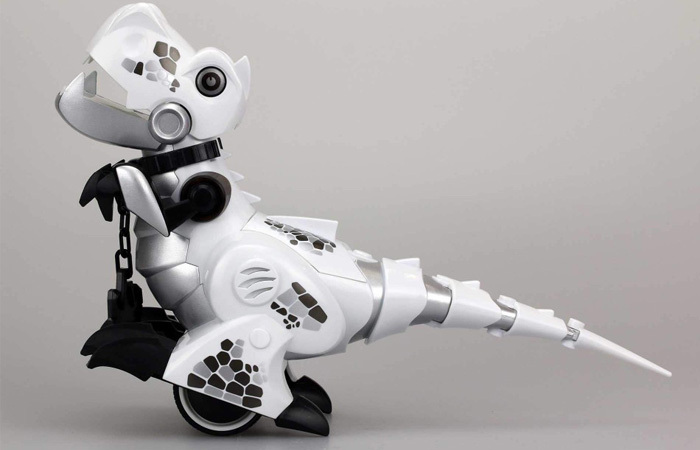 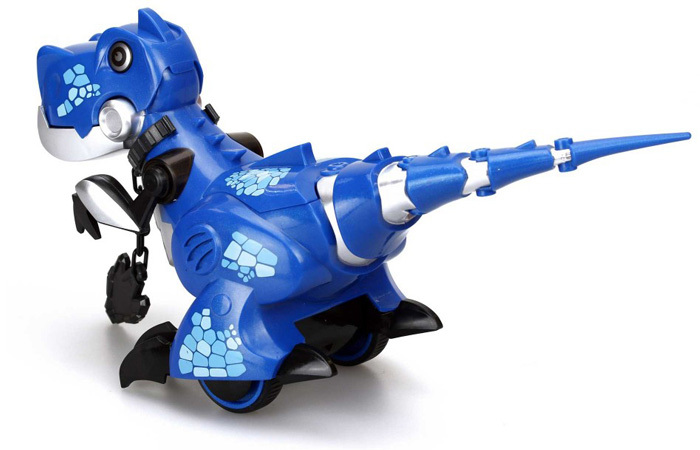 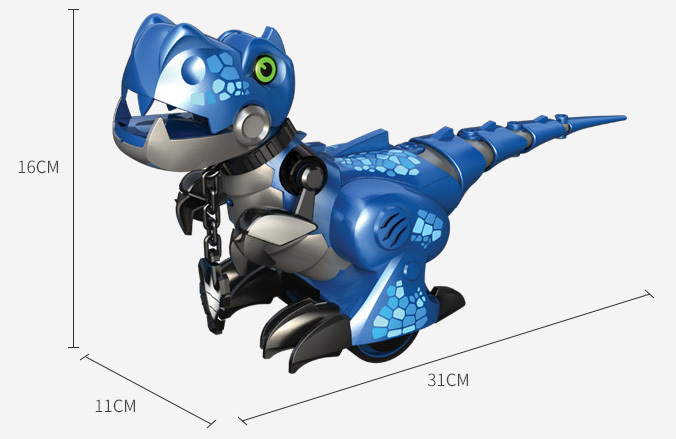 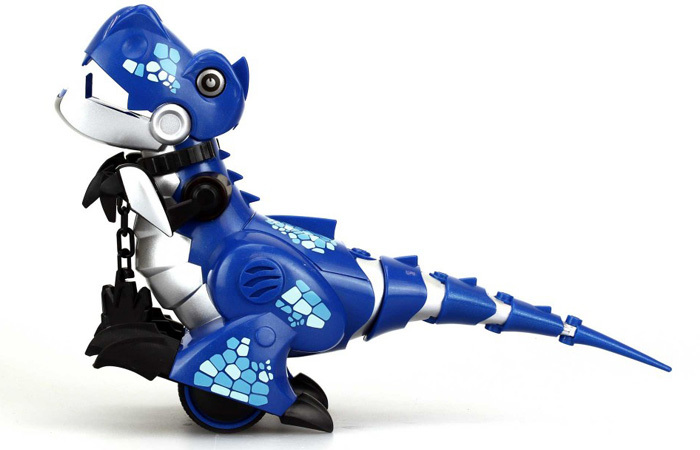 - Intelligent Sensor: Touch its head, the Dino will follow your instructions and hand movements. 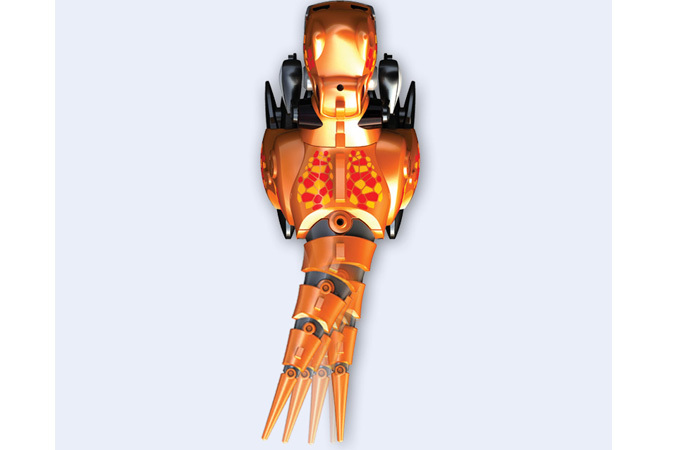 - Able to avoid obstacles. 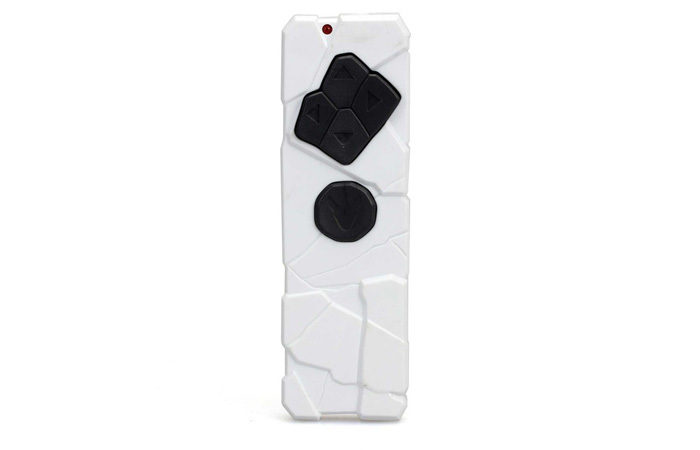 - It has 3 Colour (White, Orange, Blue), you can choose which you like, if not specified or your specified out of stock, will ship random Colour.